Sarah Doering (1926-2018) passed away in a hospice setting in Amherst, Massachusetts on the morning of November 16, 2018. She was 92 years old. 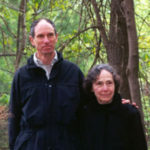 She was a great benefactor of Insight Meditation Society, Barre Center for Buddhist Studies, and the Forest Refuge, all in Barre, Mass; Cambridge Insight Meditation Center in Cambridge, MA; and Spirit Rock Meditation Center in California. All of these recipients of Sarah Doering’s generosity reflected her lifelong interest in the practice of vipassana (insight) meditation in the Buddhist tradition. The earliest model of a Buddhist community was defined by the generosity of Anathapindika, a wealthy merchant and banker in the city of Savatthi (Shravasti) in ancient India who became a follower of the Buddha, and bought a large piece of forested land for use by the Buddha and his disciples during the rainy seasons. Anathapindika himself became a disciplined practitioner of meditation and is considered the chief lay disciple of the Buddha, even while remaining a householder. In many ways, Sarah Doering lived the life of a Anathapindika in our own time, paralleling the magnificent generosity and personal commitment to meditation practice embodied by her ancient predecessor. Her generosity made it possible for many Buddhist meditation centers to have a stable financial base from which to offer meditation retreats and life-transforming opportunities to tens of thousands of people from all over the world. Sarah started her Buddhist meditation practice in 1981 with Larry Rosenberg in Cambridge, Massachusetts, and with Joseph Goldstein at Insight Meditation Society in Barre, Massachusetts. Both of these teachers became her lifelong friends and cherished compatriots. Her commitment to personal practice took the form of attending the three-month long silent meditation retreats at the Insight Meditation Society for about seventeen years. In addition, for many years she maintained an extensive daily meditation practice, while enjoying her family and taking part in other activities. Although she was keenly interested in the wellbeing of the organizations of which she was a benefactor, she left them free to chart their own course. Sarah’s generosity extended to more traditional centers of education. 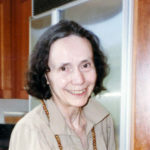 Interested in furthering education in Asian studies, especially Buddhist studies, she funded a full chair in Asian Studies at Smith College (the Jill Ker Conway Chair) and a full chair in Tibetan studies at Columbia University. Her survivors include daughters Elizabeth Bullitt and her husband Allan H. Friedman of Durham, NC; Margaret Bullitt-Jonas and her husband Robert A. Jonas of Northampton, MA; Sarah Bullitt of Belfast, ME; and son John Bullitt and his partner Jane Yudelman of Steuben, ME. She is also survived by a brother, Russell Cowles of Naples, FL, and by seven grandchildren and four great-grandchildren. All members of Board of Directors and the staff at Insight Meditation Society and Barre Center for Buddhist Studies join in our fond remembrance of Sarah Doering, for her personal practice, for her generosity, and for her being a role model for all of us in spreading the Dharma to the modern world. A memorial service will be held for Sarah at the Insight Meditation Society in the Spring of 2019.